In a place that is the physical embodiment of death, one would hardly conceive the idea of finding anything worthwhile. However, be it a symbol of death, graveyards are not just mere harbingers of grief, neither are they only coffin -bearers. Historically speaking, they serve an objective of prime importance, for they inside their hardwood sleeping beds, they preserve the oldest traces of the history of our ancestors. And, on a much lighter tone, ever spent some time in a graveyard?? If you do it, you will find that it is tranquilizing (not in a bad way), and even enlightening. 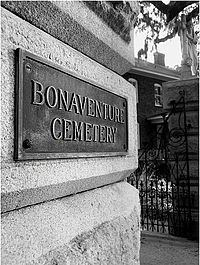 Like every country of the world, USA has its fair share of graveyards, some of the most famous being Hollywood cemetery, Bonaventure cemetery, Mt. Auburn cemetery, Oakland cemetery ,Bellefontaine cemetery and others. 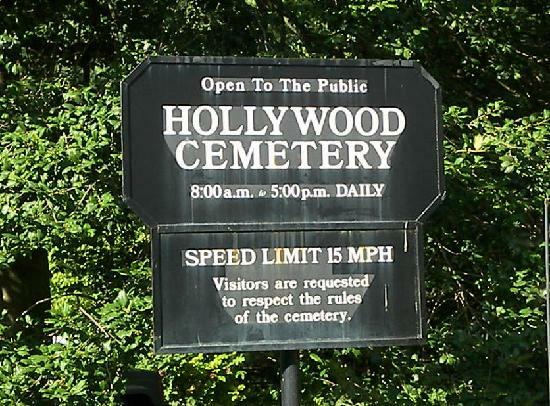 Established in1849, the Hollywood cemetery is a beautiful and tranquil place with its winding roads, picturesque hills. It stands overlooking the river James. This cemetery is the resting place of two of the former presidents of USA- James Monroe and John Tyler alongside other 18,000 confederate soldiers, in whose memory a 90 feet tall stone pyramid was erected in 1869. The Bonaventure cemetery in Savannah, Georgia is famous for its huge oak trees draped in Spanish moss acting as a boulevard, welcoming you into its abode of death. Talk about irony!! Overlooking the Wilmington River, it was designed around the ruins of Tattnall mansion. It was opened for burial in the year 1847. It has the graves of Conrad Aiken, the poet and also that of Johnny Mercer, the songwriter. The Mt. Auburn cemetery in Massachusetts was founded in 1831 and has been designated as a National Historic Landmark. It has more than 5000 trees and more than 30,000 monuments. It holds the evidence of some of America’s finest sculptures. In earlier times, the cemetery was also called Stone’s Farm. 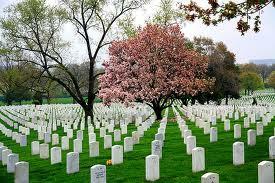 The Arlington National cemetery, established in the year 1864 has more than 30,000 people buried. 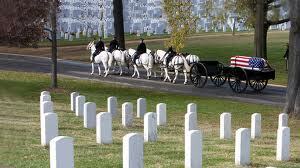 This cemetery is significant since it reminds us of the heavy cost of war. Here, the 3rd US infantry still go through solemn rites and rituals for the fallen, ceremonies that will reduce us to tears as we are reminded of the hardships and sacrifices that were made to give us the lives we lead today. Death itself is a solemn subject, and as such in general, does not invite any exclamations of wonder from us, but nevertheless, the greatest works of art arise from grief, so is it true, maybe, in this case.